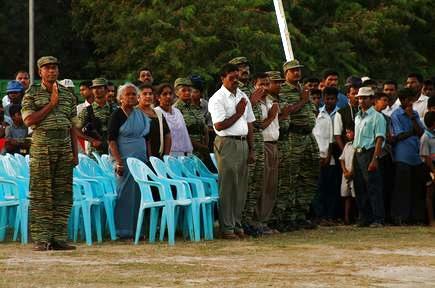 The Tamil Eelam Women's Awakening Day and the sixteenth death anniversary of 2nd Lieutenant Malathi (Pedurupillai Sahayaseeli) were marked Friday throughout the Northeast Province on a grand scale with rallies and public meetings where thousands of women from all walks of life participated in the events, TamilNet sources said. Lt Malathi was the first woman fighter to die in the battlefield in a direct confrontation with the Indian army on 10th October 1987, at Kopay in the Jaffna district. 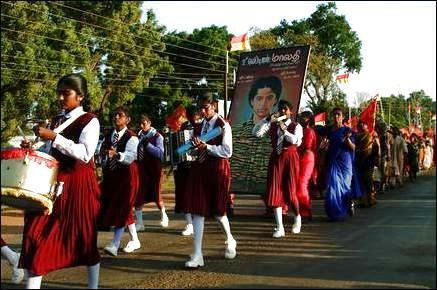 Since then the day is being celebrated annually as the Tamil Eelam Women's Awakening Day. Remembrance events were held Friday morning at the site at Kopay where 2nd Lt Malathi died in the fighting with the Indain troops. Kopay division national resurgence forum organized the event and Mr.V. Shanmugalingam presided. Valigamam divisional women wing political head Ms C.Vasanthi lit the general flame of sacrifice and Ms Yogamalar Punyamoorthy, sister of LTTE martyr Sivakumar lit the flame of sacrifice. Commander of Malathi Brigade Thamilselvi garlanded the tomb of 2nd Lt Malathi. Mr.Semmanan, deputy political head of the Jaffna district LTTE, made the keynote address, TamilNet sources in the northern town said. 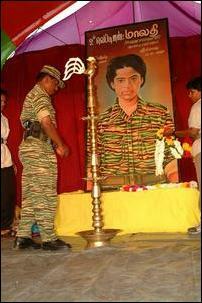 The Women's Awakening Day was celebrated Friday at the Mannar Town Hall with sixteenth death anniversary of 2nd Lt.Malathi. Events commenced with the lighting of general flame of sacrifice by the Mannar district women wing political head Ms Nilavarasi and Mannar district LTTE political head Mr.Amirthab hoisted the Thamileelam National flag. 2nd Lt Malathi’s photograph was garlanded by her father. 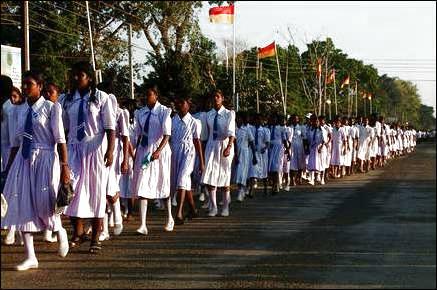 In Trincomalee district, Tamil Eelam Women Awakening Day and the sixteenth death anniversary were celebrated on a grand scale in Mutur east. Hundreds of women participated in processions started at Sampur, Kattaiparichchan and Pallikudiruppu. 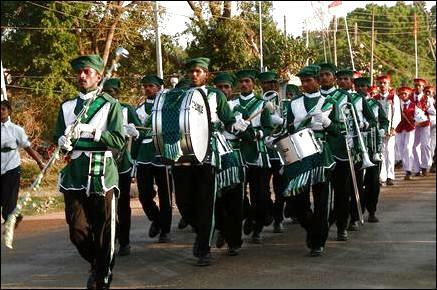 The processions were converged Chenaiyoor Central College grounds Friday evening, where a public meeting was held, TamilNet sources said. The day was also marked at St Mary’s Girls College Friday morning. The deputy head of women wing of the LTTE in Trincomalee Ms Nalini hoisted the Thamileelam national flag and the mother of a LTTE martyr lighted the flame of sacrifice. A public meeting followed, the sources said.